We recognise the importance of supporting families and children by offering a range of events, activities, information and support throughout the year. Choosing the right child care is one of the most important decisions a family will make. Please consider the options early and consider the type of child care to best suit your family’s needs. You will find more information on our Children’s Services pages. The Australian Children's Education and Care Authority’s website Starting Blocks assists families to locate a suitable child care service by providing information about services. Participating in a playgroup can benefit parents, grandparents, carers and children from 0 to 5 years of age. There are several community-run or private playgroups available across Bayside. Most playgroups are held on the same day, once a week. To find a local playgroup please contact Playgroup NSW. 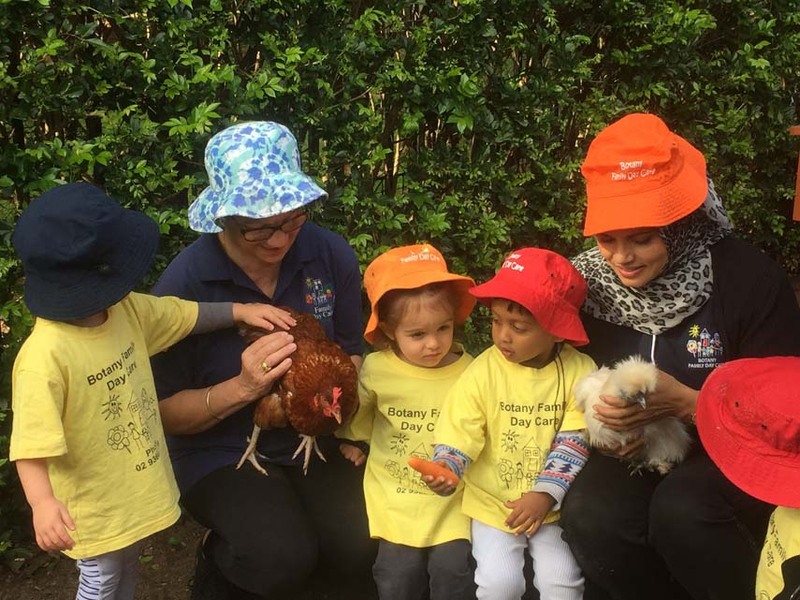 In NSW children can start kindergarten at the beginning of the school year if they turn 5 on or before 31 July in that year. In NSW, all children must be enrolled in school by their 6th birthday. Our Libraries offer a variety of services and programs for children. These programs cater for babies to school aged children. Early Childhood Intervention Services are designed to assist families with young children from birth until they enter the school system. Early Childhood Intervention is a term used to describe a range of services designed to assist with developmental concerns or delays, or diagnosed disabilities. Early Childhood Intervention in Australia is a National organisation providing advocacy and information on early childhood intervention. Parentline NSW supports The Early Childhood Intervention Infoline, a telephone service for families who have questions about their child’s development or who have a child who has been diagnosed with a disability. Early Childhood Health Centres operated by NSW Health provide a free service for all new parents in NSW. They are staffed by Registered Nurses and trained health professionals who specialise in child and family health. For more information contact an Early Childhood Health Centre closest to you. Immunisation protects the community against vaccine-preventable diseases. Each vaccine plays an important role, so timely vaccination is the best way to protect your child and family. The immunisation schedule provides a summary of the vaccines and the ages at which they should be given. Timely vaccination is the best way to keep your child protected from serious vaccine-preventable diseases. It is important to book ahead and make an appointment with your doctor or visit your local immunisation clinic. Did you know two out of three child seats are not fitted or secured properly? That can be a fatal mistake. Research shows a child properly secured in an approved child car seat is less likely to be injured or killed in a car crash than one who is not. By law all children must be safely fastened in the correct child car seat for their age and size. We regularly offer free, NSW Roads and Maritime Services (RMS) authorised, child restraint inspections as part of our Road Safety Program. Council holds free child safety restraint check days throughout each year. It is absolutely essential you reserve your place through Council's Road Safety Officer, either by calling on 0412 812 491 or emailing sue.watson@bayside.nsw.gov.au. Free inspections are only for residents of the Bayside Council LGA and you will be required to bring proof of residence (rates notice, driver's licence etc). Find more information on child restraints, safe installation and current laws can be found here. Kidsafe NSW provides parenting resources promoting child injury prevention and education. KidSafe NSW has a wealth of information about current news and events as well as resources, information sheets and fun educational video clips. Children's Services We provide a range of children's services that are inclusive and focused on delivering quality services to support families.